Welcome to The Experimental Aviator. This site chronicles my various flying and building endeavors. In the interest of sharing my experiences, successes and failures, this site will contain news, articles, pictures and other musings related to building and flying experimental homebuilt aircraft. Take a look around. I hope you find something useful or interesting. More specifically, this is a way to document the progress and flying of a Pitts Special S-1E, an Ison Airbike and soon a Milholland Double Eagle. I built the Airbike myself about a decade ago. 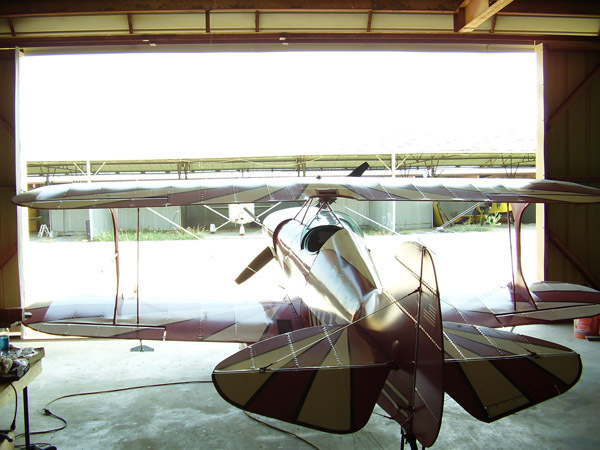 The Pitts was bought from the original builder in flying condition and I've been flying it for about five years. This last fall, I decided it was time to go through the 33 year old plane and take a close look at everything. Since it was going to be torn down, the timing was good for doing some performance modifications. The Double Eagle is a new project that is just getting started with my dad. It's another low and slow airplane, but this time with two seats.